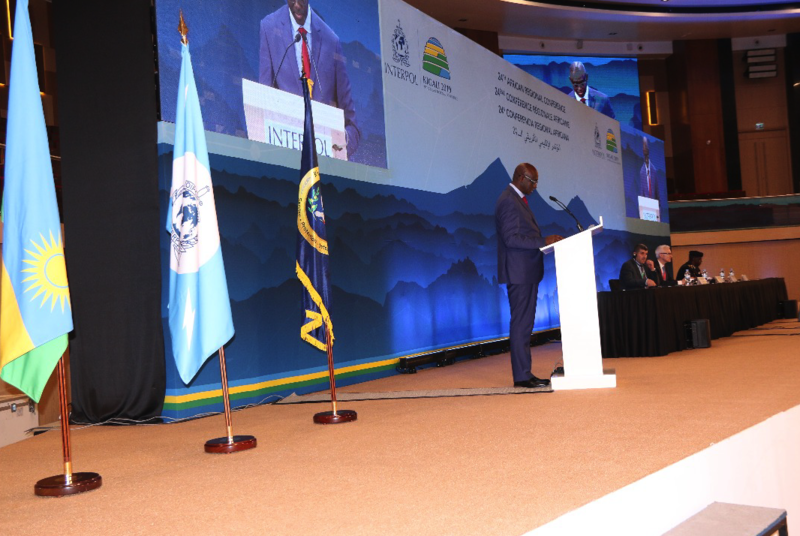 The Minister was speaking at the closing of the 24th Interpol African Regional Conference and the Table Top Exercise Cyber Track II, which climaxed in Kigali, on February 7. “There is no doubt that cooperation, collaboration, timely information sharing and coordination amongst our countries’ policing institutions will result in superior capability in fighting cross-border contemporary crimes,” Minister Busingye said. The conference discussed a spectrum of security issues affecting the African continent, and drew joint strategies to face the common threat to peace and development. Key among security threats affecting the continent, which were tackled by the conference, includes illicit trafficking of drugs and pharmaceutical, terrorism and maritime piracy, trafficking in human beings, child exploitation, financial crimes and corruption. The Table Top Exercise that brought together law enforcement agencies from the Eastern Africa Police Chiefs Cooperation Organization (EAPCCO) member countries focused on the use technology in countering cyber-enabled terrorism. Minister Busingye said that platforms serve as an opportunity for individual countries to network and build synergies for future cooperation in crime information sharing, experience sharing and enhanced interoperability. He commended the existing partnership between Police institutions and organizations in Africa and beyond for their relentless efforts to find comprehensive resolutions to security concerns. The vice Minister for Foreign Affairs of Libya, observed that the various presentations and discussions held during the conference are key factors that highlight the need for urgent cooperation in fighting crimes in Africa. He called for the implementation of regional statutes in order to develop and promote Police capacity as well as instituting proactive structures that serve as a guide to effective response against transnational organized crimes.